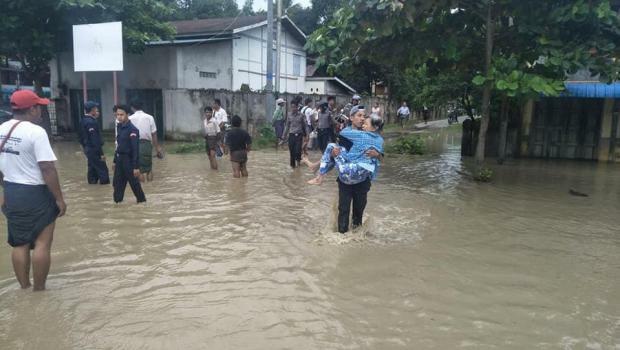 Water from a breached dam flooded communities in central Myanmar on Wednesday and blocked part of a highway linking the main cities of Yangon, Mandalay and the capital Naypyitaw, fire officials said. The Myanmar Fire Services Department dispatched a fire brigade to the Swar irrigation dam after it breached at 5.30 a.m. (2300 GMT), sending water into the nearby town of Swar and two villages. There were no immediate reports of casualties but some 50,000 people have been evacuated. 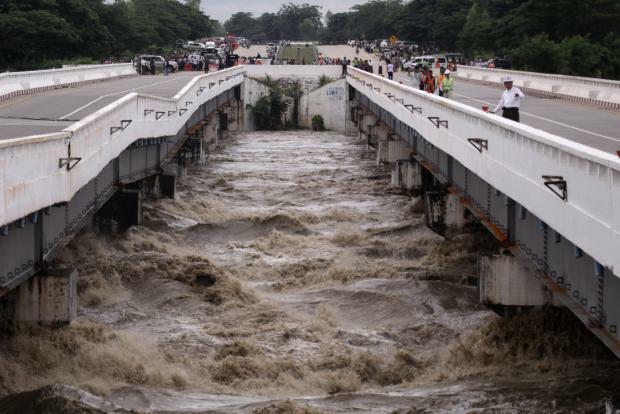 The (spillway) of the dam was broken and flooded the two villages close to the highway road," the fire department said on its Facebook page. The water also affected parts of Swar town, it said. Fire officials closed the Yangon-Mandalay highway bridge in the Swar area. Pictures posted on the department's Facebook page showed water rushing within a few feet of the underside of the bridge. The local Kumudra newspaper posted a video on Facebook showing the commander-in-chief of Myanmar's army, Min Aung Hlaing, visiting the flooded area. "The team there is working now for rescue and necessary actions," said a fire department official who declined to give his name. 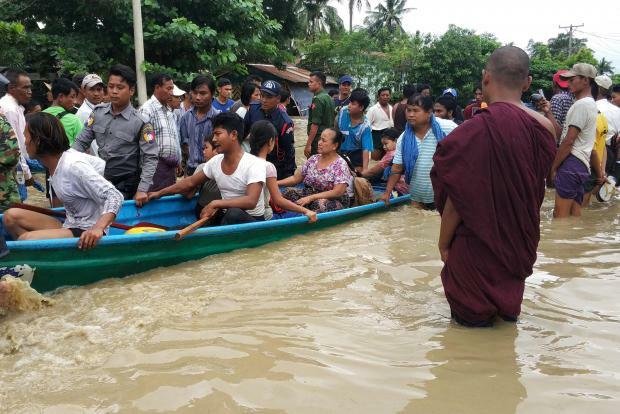 Myanmar's heavy annual monsoon rains have caused widespread flooding that displaced more than 100,000 people and killed at least 11 in July this year. The Myanmar government is weighing a number of dam projects that would generate electricity to address chronic power shortages, but the projects are controversial due to their potential environmental impact. A hydroelectric dam collapsed in neighbouring Laos last month, displacing thousands of people and killing at least 27, highlighting the safety concerns over many dams in Southeast Asia.